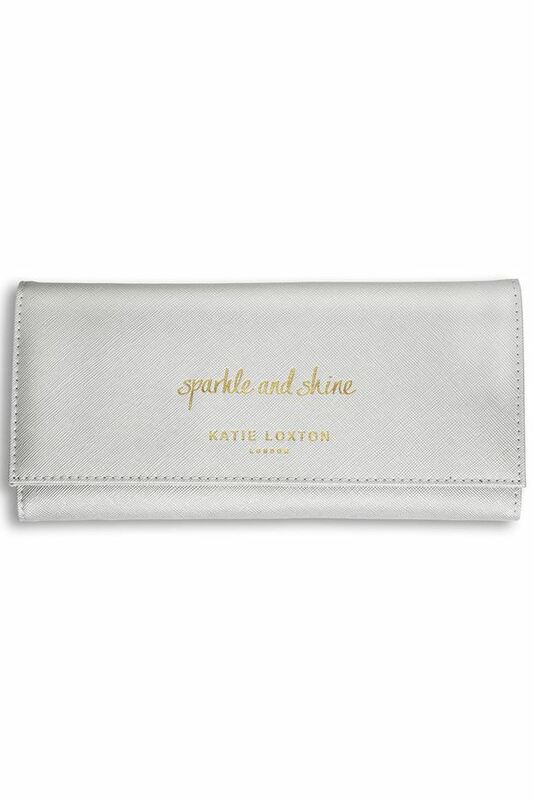 Brand new jewellery roll in metallic silver with 'sparkle and shine' print from Katie Loxton. 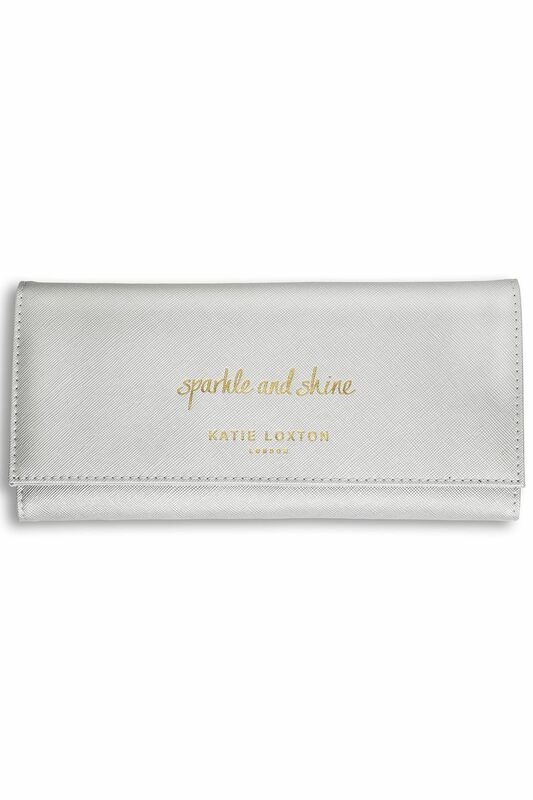 The pouch features two ring bars, a zipped pockets and earring bar. This roll is perfect for storing your treasures on-the-go.